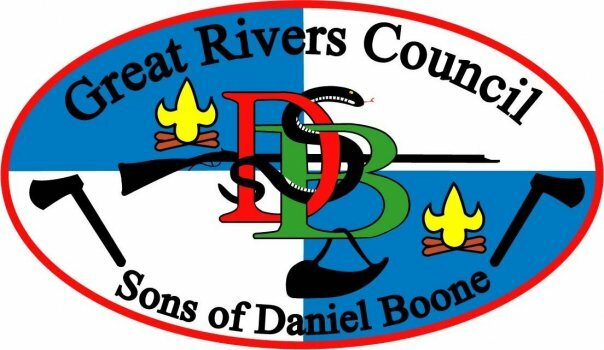 Founded in 2006, the Sons of Daniel Boone is an honor camper society that recognizes Scouts and Scouters that consistently camp in the Great Rivers Council. Our goal is to promote and develop participation in the Great Rivers Council summer camp program and to recognize those scouts and Scouters who return to Great Rivers Summer Camps over many years. Membership and advancement are based upon scout skills, unit recommendation and camp service. Ranks and roles in the society are based in part on the writings of Daniel Carter Beard and his Sons of Daniel Boone organization from the early 1900s. His organization was one of several that merged and became what we know today as the Boy Scouts of America. Each week at summer camp, society members have the option of participating in a wide variety of special member-only activities, ceremonies and events in addition to or in lieu of traditional merit badge programs. Special ceremonial and program areas of camp are reserved for members only. Check for forms page for Nomination and Promotion forms.